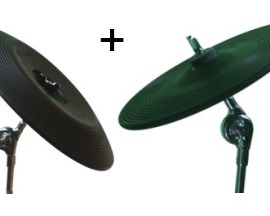 Triggera's electronic cymbals are made of steel and rubber. That`s why they are quiet enough for bedroom use. But also, these electronic cymbal pads feature excellent playability, feel and dynamics, perfect for intricate cymbal work. If you're looking for electronic cymbals you can depend on, you've come to the right place. 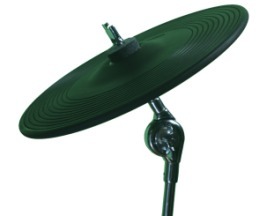 Triggera's electronic cymbals offer the dimensions, weight and "swinging" motion of real acoustic cymbals. They mount on traditional cymbal stands, and have a special mixture of natural rubber and neoprene coat to eliminate the stick noise. Yet they offer a realistic feel and rebound. And they are extremely durable and compatible with most electronic drum modules. 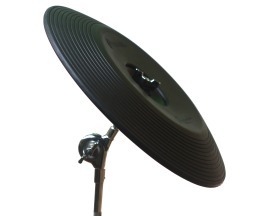 You just need these cutting-edge electronic cymbals.